The Honda GL1800 Gold Wing has been around since 2001 and continues to pave the way for luxury touring on two wheels. Honda released an updated, slimmed-down (to a spritely 378kg) model in 2018, a whole seventeen years after the last version was released back in 2001. 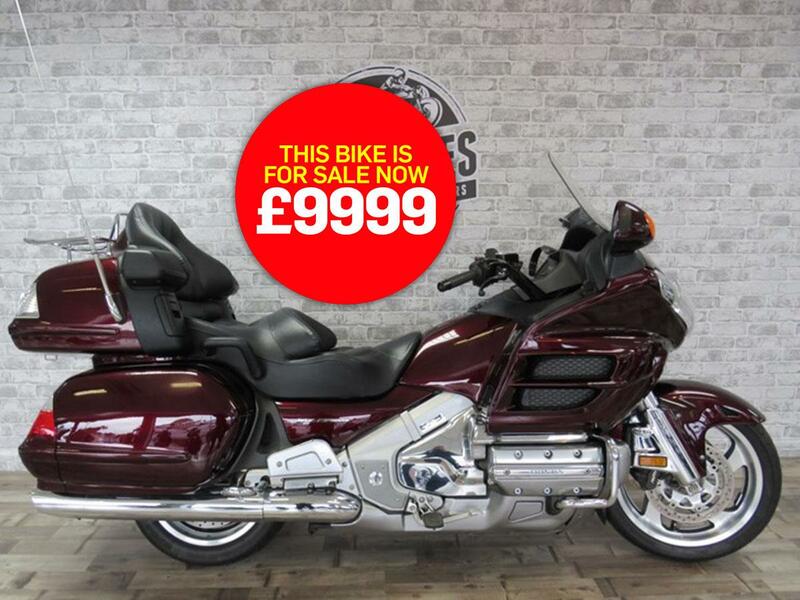 Equipped more thoroughly than some cars, a brand-new Honda Gold Wing now costs around a staggering £30,000 - fortunately, however, there are some great deals to be found on the used market. Powered by a 1832cc flat-six engine producing 116bhp, mid-noughties Gold Wings (like the one available below, pictured above) featured a 147-litre luggage capacity, six way adjustable heated seats for pillion and rider and even warm air vents for your feet. Official options also included items like a six CD stereo, with the list of unofficial items queueing out the door. An airbag equipped Honda GL1800 Gold Wing arrived later on as an update. The Potteries Motorcycles and Scooters say: "This 2006 GL1800 Gold Wing has just arrived and is on the shop floor and available for viewing or a test ride now. "The ultimate touring bike from Honda, it’s got everything but the kitchen sink in terms of mod cons and is in very good condition for the year having covered just 15,079 miles. "It has been kept well and has all its servicing and MOTs recorded and present. We will service and MOT this bike before being sold. Nationwide delivery can be arranged." Find a used Honda Gold Wing for sale.